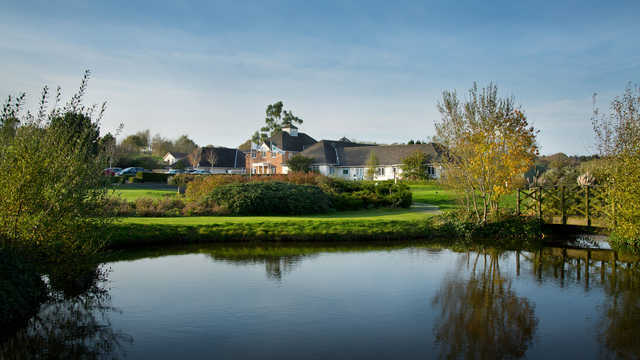 Sandford Springs was designed by Hawtree & Sons and was opened in 1989 by Bernard Gallagher & Nick Faldo. The course is set amongst the beautiful rolling hills of Watership Down, with spectacular panoramic views of Berkshire and Hampshire. The club offers its golfers a range of extra facilities including an undercover driving range, short game practice area and well maintained putting green. The clubhouse provides the perfect environment for food and drink after your round, a real family atmosphere enjoyed by all. The Club offers a great round of golf in the form of three 9-hole loop golf courses: The Park, The Woods and The Lakes. Each course has their own individual characteristics, with features ranging from raised greens to water features. The par 71 measures over 6,000 yards in length and is a real test for all ability golfers.